As U.S. Rep. Greg Walden met Friday in Grants Pass and Ashland with representatives from the tourism and timber industries to talk about wildfire smoke, some of his most vocal critics were getting organized.About an hour after the congressman wrapped up question time with reporters, about two dozen people from Oregon District 2 Indivisible had assembled in the parking lot of the Medford Armory on the first stop of their “Where’s Walden?” caravan tour, which will travel throughout the district through Saturday. 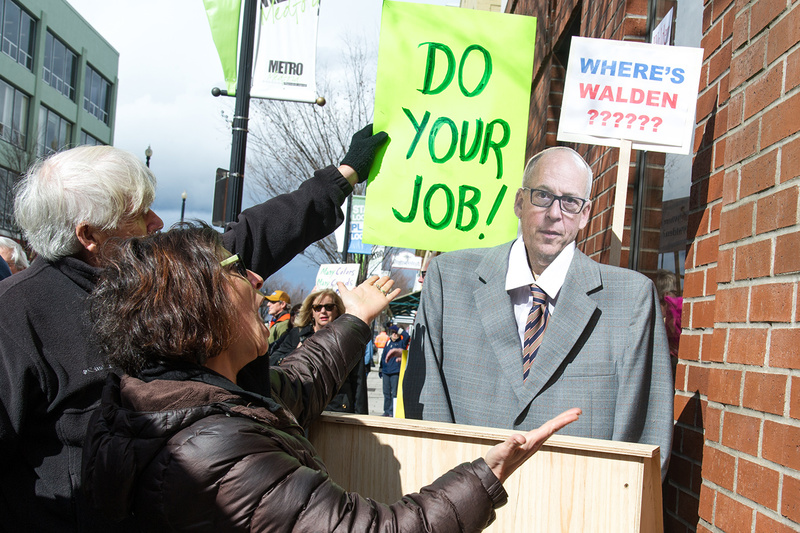 Indivisible’s main complaint is Walden’s reluctance to hold town hall meetings with the public. 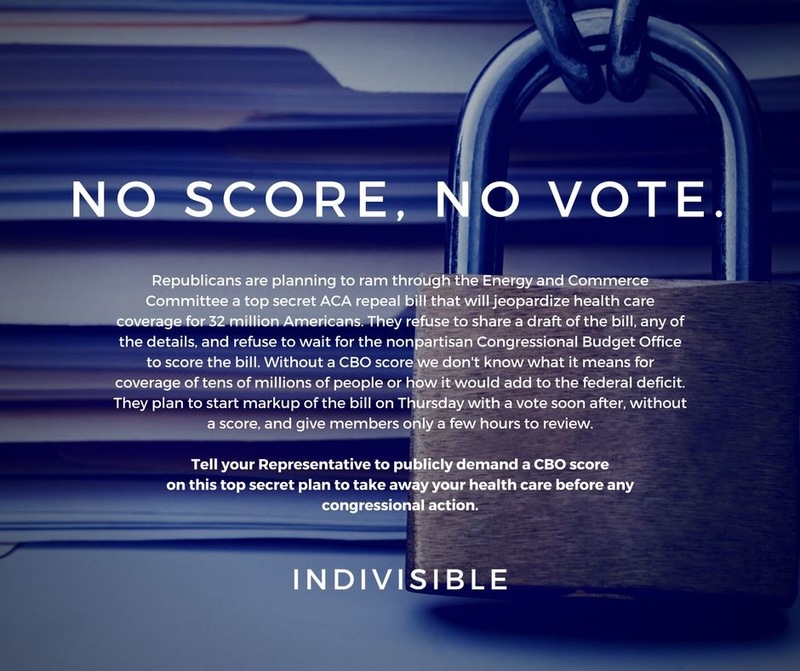 It’s a common theme with Indivisible groups nationwide, with many local chapters tracking their representative’s records on holding town halls. 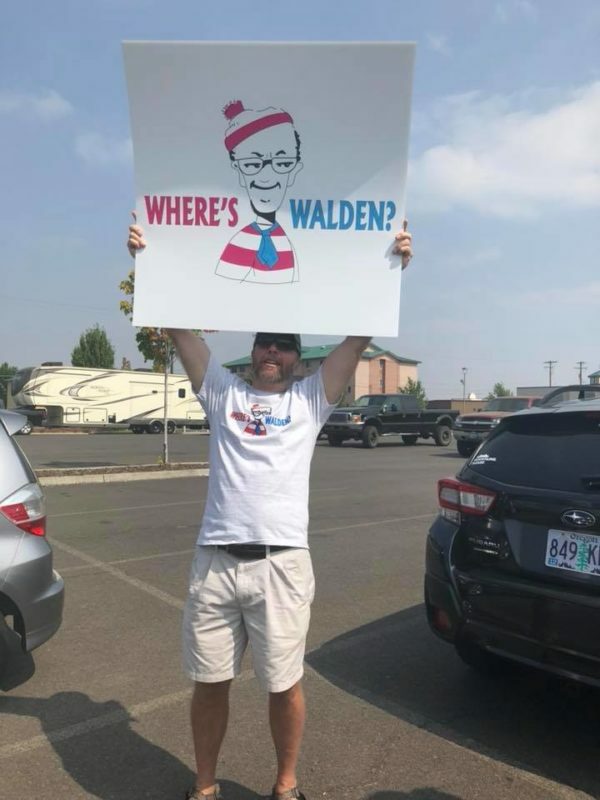 By the end of August, the local group said, it will have been 500 days since Walden’s last town hall in the district. 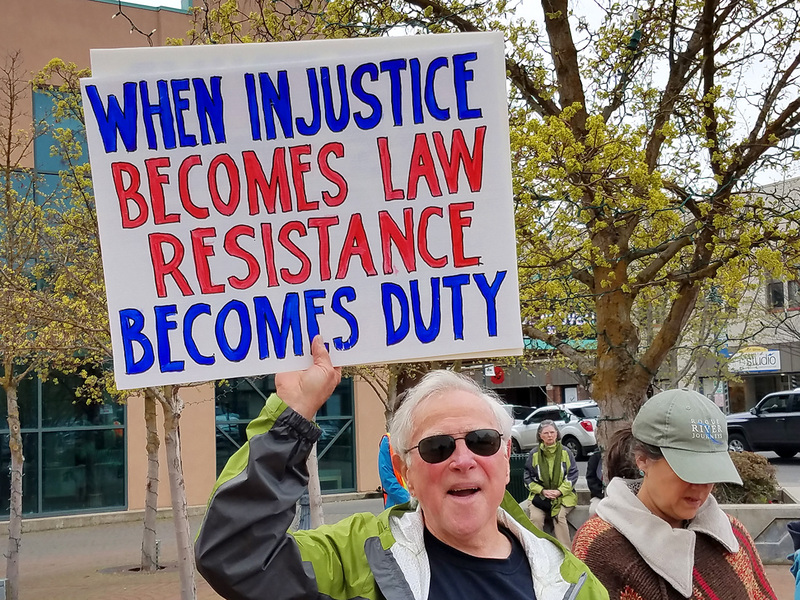 Oregon District 2 Indivisible members started their tour in Medford, heading to Klamath Falls Friday afternoon and then Bend. 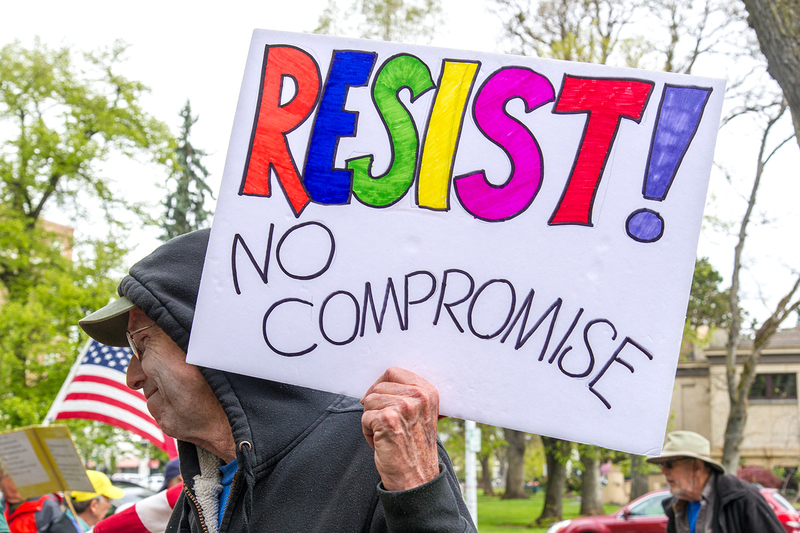 Saturday morning, they have a rally scheduled in downtown Bend, then they’ll head through The Dalles and finish in Hood River. There, they said, they’ll hold a town hall even if Walden doesn’t attend. Members said his Democratic opponent, Jamie McLeod-Skinner, planned to come. 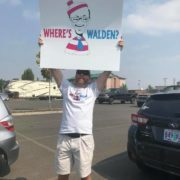 At Walden’s most recent town hall in Medford, held last April, he answered questions amid shouting and booing from the audience, which included Indivisible members. When asked about the caravan Friday, Walden said he hadn’t paid attention to Indivisible’s campaign messages because he has been busy working on issues such as fire and smoke management. He said he would have to check with his campaign on whether any debates had been scheduled with McLeod-Skinner. 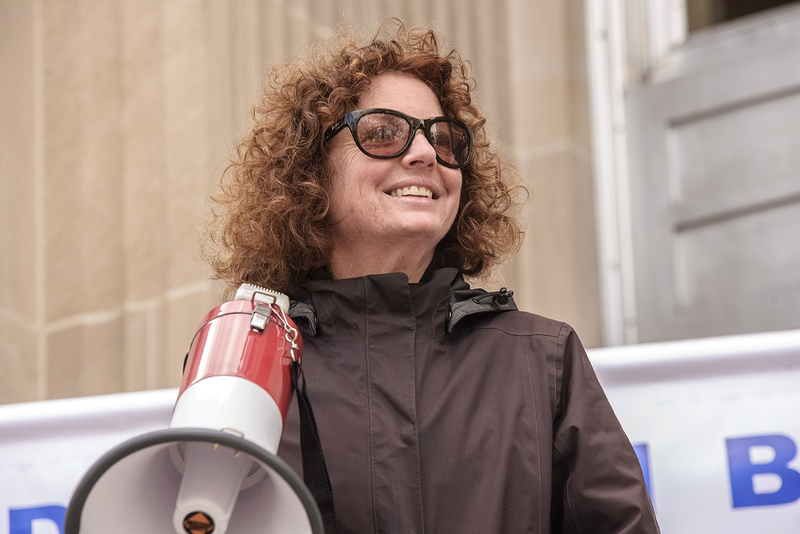 Indivisible member Susannah Graven talks about why she joined the organization and the “Where’s Walden?” caravan. Video by Kaylee Tornay. 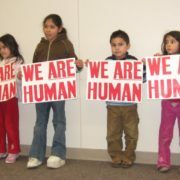 Reach Mail Tribune reporter Kaylee Tornay atÂ ktornay@rosebudmedia.com or 541-776-4497. Follow her on Twitter @ka_tornay.